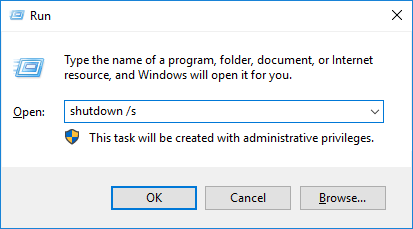 A lot of people are finding it difficult to find out the shutdown button in Windows 10. It was very easy to spot it in older versions of Windows, as it stayed at the same place for so long. With Windows 10, most of the UI changed, and the location of the Shutdown button too. This article will teach you 7 ways on how to shutdown Windows 10. Right click the Start button to open the WinX manu. 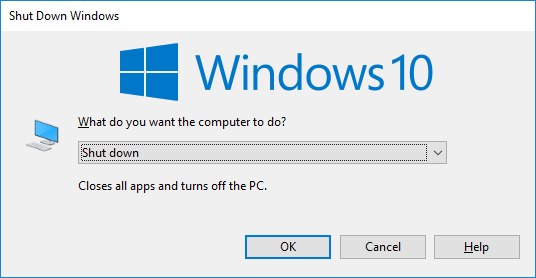 Your Windows 10 computer will shutdown immediately. Open Run dialog box. This can done by pressing the Windows Key + R.
Reach the lock screen somehow. You can do that by pressing the Windows Key + L.
Then you have to click on the I/O button from the bottom right of the screen. The you have to select Shut Down from the menu that opens. All the laptops and touch screen devices have a power button. You can either press that to get the menu option for Shutting down your device, or you can use it to shut down your device directly. 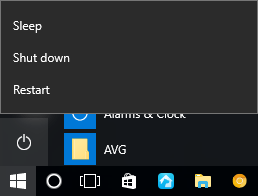 To shutdown your device directly, first open Power Options by searching it from the Start Menu search box. Then select “choose what the power buttons do” option from the left pane. Finally select Shut down in the option for “When I press the power button”.